One area where Sprint is prolific with its network is through partnerships it has with companies that resell its capacity. Indeed, many well-known pre-paid brands are either subsidiaries of, reseller partners, or network partners of Sprint, the latter owning part of the spectrum, but Sprint does all the heavy lifting. Among such partners were companies known as “Educational Broadband Service” providers. Most of these companies operate as non-profits and either provide service for free, or at steep discounts to schools. Mobile Citizen and Mobile Beacon leased their spectrum to now-defunct Clearwire for a period of 30 years, using the fees they get from Sprint to subsidize services to schools. Such clients had unlimited access and bandwidth via WiMAX, a 4G standard that never really earned wide distribution. The two companies are now suing Sprint over throttled data as the carrier has been converting all its available WiMAX spectrum to LTE. Where schools are averaging anywhere from 30-300GB of data per month, Sprint is throttling the load after just 6GB, “a lethal blow” to entities like schools. Now that the final shutdown of the WiMAX services is looming, Mobile Citizen and Mobile Beacon are scrambling to maintain service to their customers. 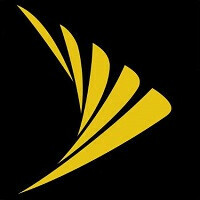 Sprint noted that the two companies have had more than a year to plan a migration to LTE, pointing out that other EBS partners have already made the move without undue drama. LOL. The new Sprint is pretty cutthroat. I hope they fail apart. I was with Sprint for 11 years and had horrible service, we paid $1,200 in ETFs to leave and I vowed never to give them another dime for their horrible network. Years later I end up buying a $29.99 FreedomPop ZTE Force and use it on the free monthly plan as a backup phone. Now I get to use that piece of crap network for free. And honestly it's still horrible, it's so bad that if I had to pay anything for their service I'd be feeling ripped off all over again. That story makes no sense. (11 years + years later, is a fairly tight window, it's not like Sprint has been a cellular company for much longer than that.) But I don't understand why you had them for that long, but did not ride out your final term. It sounds like you renewed, then quit. Right now, my ETF would be $40 (2 months to go). But I get really good service where ever I go (CT, CO, NC, PA, TX, AZ, WA) so, I'm not in a rush. I've recently hit bad spots in NC and WA, but I don't usually stay in those places. Because of the International usage, free hot spot, and no contracts, I am going to try Google's network. But, if I don't like it, I'll be going back to Sprint. T-Mo has poor highway coverage, Verizon users are the most data-paranoid, and AT&T seems to have the call quality of a fast food drive-thru speaker. It's been known that sprint was shutting off the WiMax network for quite some time. I'm sure these schools have received multiple communications regarding this, so I don't know if there is much the schools can do, other than switch to an LTE network. even (Clear) Wire shutting down next month,.